Apps. We have them, we use them, we download them and we think they are really cool. We all want our own app but don’t want to pay developers huge money to build one. 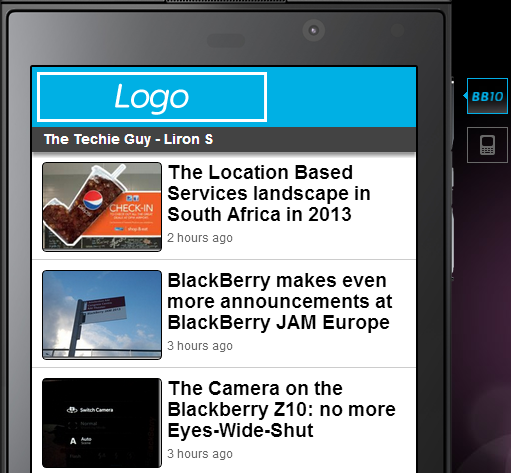 So I set out on a mission at BlackBerry Jam Europe to see what is the fastest and cheapest way I could find to build an application for my Blog. 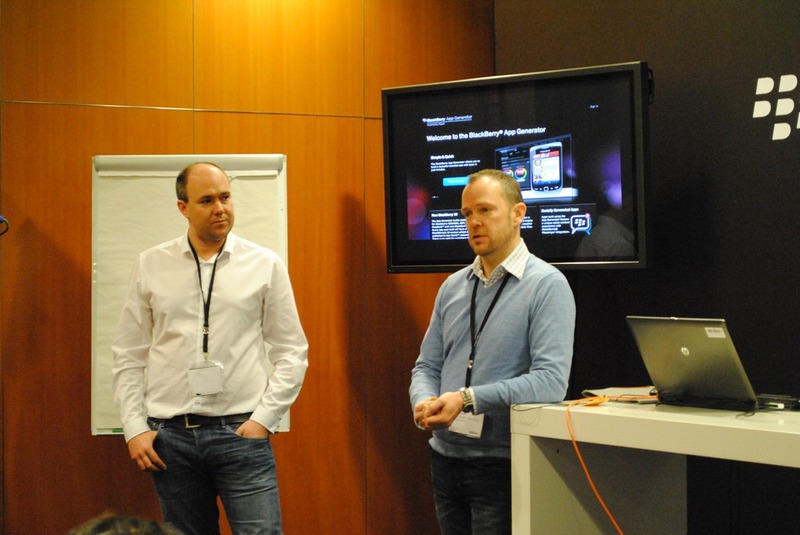 The Answer: Built my own app in 10 Minutes and for FREE – without a single line of code ! I only had two rules. The first rule: I want an app but I don’t want to build and pay for my app for every generation of BlackBerry’s operating system. 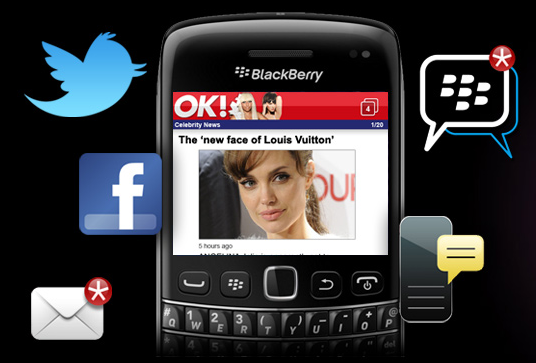 It need to work on current BlackBerry in the market (OS ver 5, 6, 7) and the new BlackBerry 10. If it could be installed on the Playbook – bonus. The second rule: the application has to be a Native application. In other words not just a link from an icon to my site but rather an application that is installed and “lives” on the phone. I scoured the various BlackBerry Partners, investigated many options and spoke to many programmers who offered many Samples-How-To-Build-Your-Own-App manuals. If you have any coding skills, the simplest development way is using HTML5 WebWorks. However I wanted to find a solution that was even simpler as not everyone can write code. 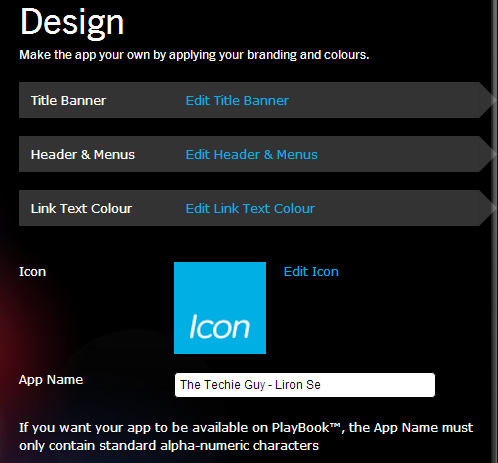 I then found the guys from BlackBerry® App Generator. According to the writing on the wall (literally) I could built my app in under 10 minutes and it will cost me nothing. 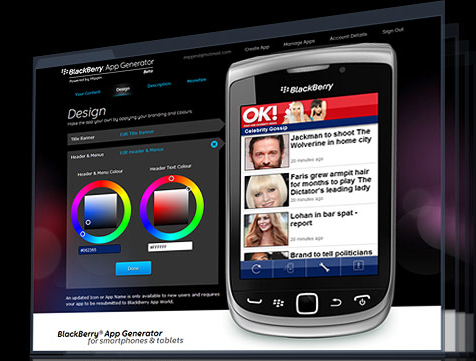 BlackBerry® App Generator runs on Mippin. So I set out to find David Mannl Founder & Creative Director of Mippin, who explains that with “the App Generator you enter your info, and the system does all the work. It takes your info, send its to the Templates out in the cloud and sign the code – all in minutes without you writing any code”. Mippin also offers you the ability to publish and build your app for other mobile system such as Android, Nokia, Windows and iOS. However these do come at a fee whereas Blackberry is free. So I gave it a bash. 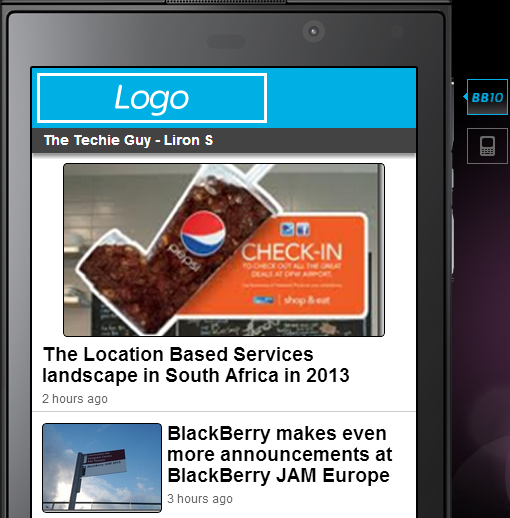 Get your own BlackBerry App without a single line of code. One you do that, the system will pull your content and show it to you so you can add a content name and choose which layout works best for you. You can add another source of info or click on Save & Done. Then you can make design changes. 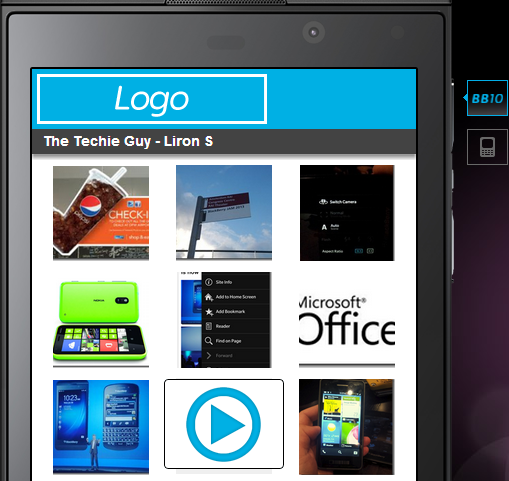 Upload your logo, add a header, change the colours, and add the important icon. The system will even allow you to crop the image to size so no need to worry about having a graphics editing software on your computer. Next you will need to create an accounts (don’t worry its FREE) and select the category that your app fits into eg News and Information etc. 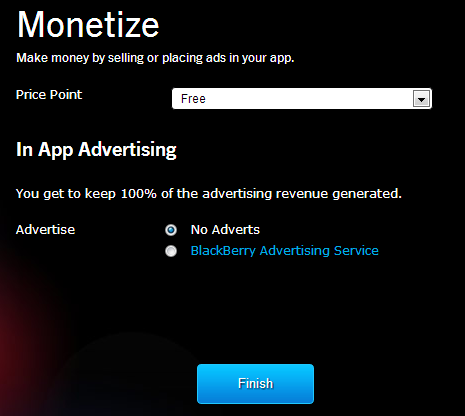 Finally you will be asked if your apps is a paid for app or free and if you would like to have BlackBerry Advertising Services into the app. Once you click on Finish it will automatically submit your app info, get the code signed and create the necessary .bar install files. All in minutes whilst you wait. BlackBerry team will now asses your application to make sure it meets the qualification criteria (eg no adult content, no offensive language, no viruses etc.). 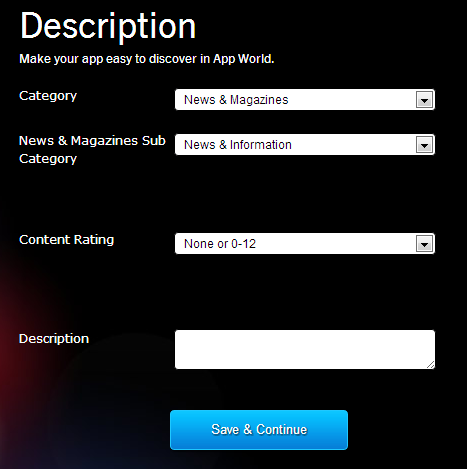 This process take around 48 hours to be approved and appear in the BlackBerry World for the world to download. I am not sure why this method has not received as much attention as the other developer options. 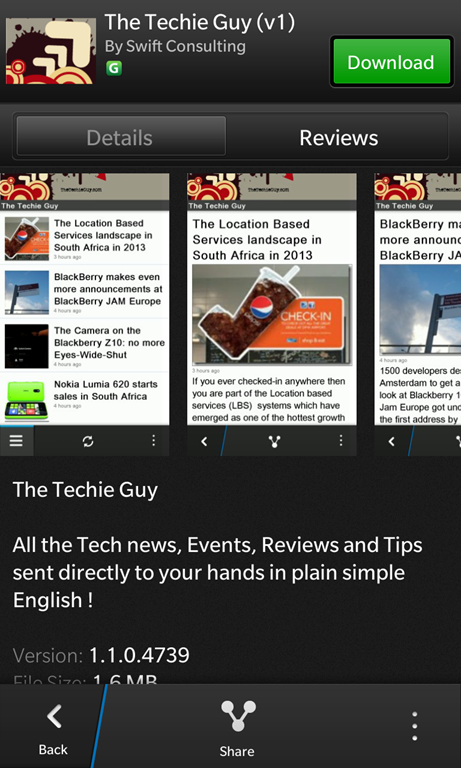 Its a quick way to populate the BlackBerry World and yet it hardly mentioned. I am keeping an eye to see if apps published in this method are going to qualify into the Built for BlackBerry Apps program. Technically they meet all the criteria set by the program. 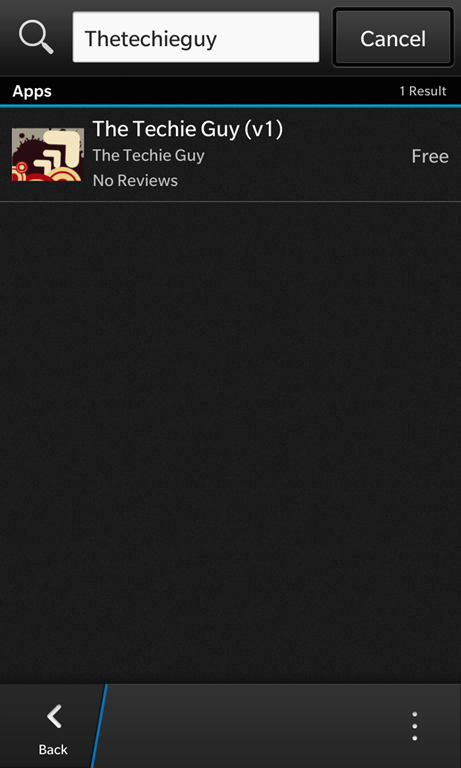 Finally, click on this link to download TheTechieGuy app Go into BlackBerry World and search for: The Techie Guy. You will find my stunning app and once you install it you can get all your Tech info direct on your mobile phone !